I’ve been so busy with work and events that I haven’t had a chance to get the Teenybopper prepared for the new school year. It just kind of snuck up on me. If you are new to this blog, then I’ll explain that the Teenybopper is my youngest son who is 15 and homeschooled. Our version of homeschooling includes attending a co-op and the coursework is pretty challenging, especially with AP type classes. He needs a great laptop that he can take to class for notes and a tablet where he can follow with his teachers. They have books that are completely digital, so a good large screen is essential. 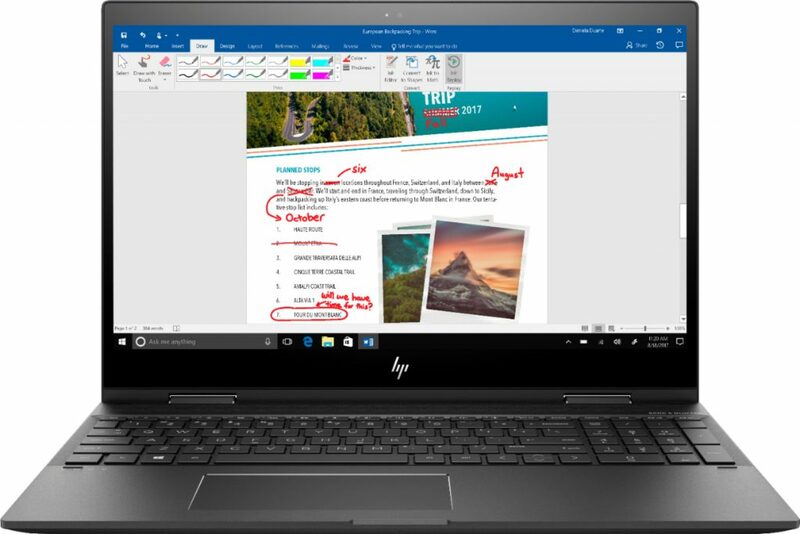 That’s why I’m overjoyed at the fact that the HP Envy x360, which doubles as a laptop AND a tablet is offering $100 off before 7/28. I mean, you gets 2 devices in one, since it can transfer from a laptop to a tablet in seconds. A few things to geek out over are that they are touch-screen and come with Windows Ink capabilities and a Windows operating system so you can write on the screen with your stylus. AMD processors make them fast and thin so you can take them with you anywhere you go! HP Envy x360 with Edge Web browser that lets you markup Web pages on your screen. Stop reading this post right now and go check them out for yourself. Choose one of two available sizes, either the HP Envy x360 13 inch or the HP Envy x360 15 inch. I love how slim this laptop is. All I’ve ever owned were HP’s and this one looks absolutely amazing. I love it! Laptops are no more a luxury but an indispensable learning tool even in India .This model HP envy 360 sure seems to tick all the right boxes in configuration and specs . 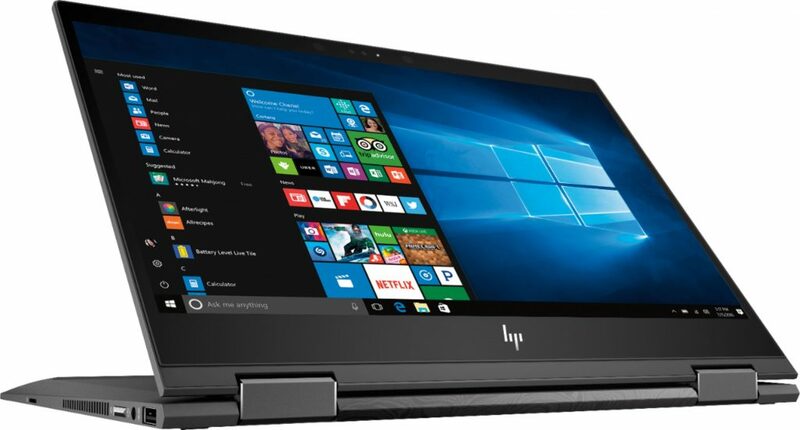 I just got a new laptop that I am happy with, but when I am shopping for a new one I will definitely look into the HP next. This laptop sounds so amazing! I need to check it out! I’ve been meaning to look into a new HP Laptop. My current one is falling apart thanks to our kids. Missing letters.. you name it! Hope my husband is taking notes. This laptop sounds worth the investmenet. I’m in line for a new laptop, mine is near the end of its life lol! I’m going to check this one out as I like the idea of being able to write on it or jot down notes quickly. I’ve used HP before and I tend to like their stuff, so it’d be nice to continue using their product. I love these flip, convertible laptops. They are perfect for all your needs and provide for both Tablet and Laptop functionality, so you only need one. Thanks for sharing. HP was one of the brands we did consider when we got us a laptop, although we did not end up getting one our HP printer tops all the printer we purchased for years. I love the feature where it can be flipped to a tablet. HP is one of my favorite computer brands. I’m sure my son would love this laptop. Even though he’s no longer a teenybopper, but it seems to have great capabilities. I don’t have an HP but I do own the windows pro 2-1 and I love the whole system. It’s super easy and they lasts a very long time. I had my previous one all through college and beyond until it went to computer heaven this feb. Great choice!